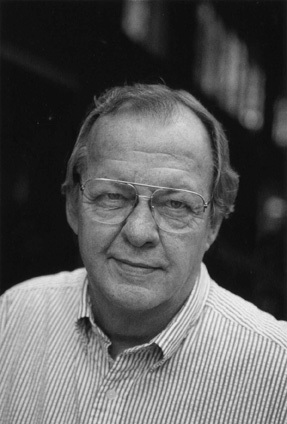 The South (and the nation, too, though he was a true Southerner in the best senses of the term) was diminished today with the sudden death by heart attack of the Nashville-based writer John Egerton. We at NewSouth were privileged to know John and work with him for several decades, first through the Southern Regional Council, and later as the publisher of an insightful collections of essays, Where We Stand (2004), to which he contributed, and his wickedly satiric comic novel takedown of George W. Bush, Ali Dubya and the Forty Thieves (2006). 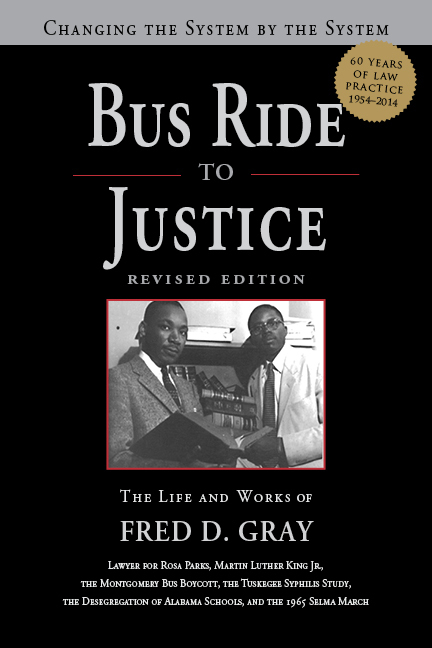 Those were only two of his many books about the South, not to mention the thousands of articles and reports he produced about the region over a long career of fearless and inspired writing about civil rights, education, politics, the courts, and history and culture. In his later career, he became especially known as a writer on food and he was a primary inspiration for the group of Southern cooks, writers, and filmmakers who coalesced around the Southern Foodways organization. See John’s obituary in the Tennessean newspaper and the New York Times. Anyone who wants to know about the struggles for school desegregation and racial justice in the South in the 1960s and 1970s will come across at least one of the many essays, articles and reports that John Egerton authored. He was never a reporter for any of the major national newspapers but was perhaps the last full time, freelance journalist who covered the civil rights movement of that era. He wrote reports and essays for the Southern Education Foundation and the Southern Regional Council, as well as articles in national magazines, that brought statistical patterns and data to life and exposed the mendacity, insanity, and cruelty of Southern segregation and racism. He was a lone voice among the white writers who lived, travelled, and worked in the South without the institutional support and protection of a national magazine or newspaper. But John always appreciated that white Southerners had within them the capacity to change themselves and the region for the better. As was said of the freelance Southern writer Lillian Smith in her era, John Egerton in his era loved the South so much he wanted to make it better. John is known in many circles. He has a bevy of books and articles about the white people of Appalachia. He wrote an amazing fictional story for NewSouth Books. He was the author of the notion of the Dixiefication of America. He is an icon among those who write seriously about Southern food. He was the go-to man who for almost two decades brought together the Southern journalists who covered the South during the decades of struggles for civil rights as the “Popham Seminar,” named for his old friend, Johnny Popham (known to many as “Pop”). John took all the time in the world driving “Pop” around the South in his later years and tending to the needs of others, including his dear old friend, the legendary Rev. Will Campbell. Amid his incredible productive years of writing, John never sought a spotlight, never failed to give more credit to others than to himself, and never was too busy to be a good husband, good father, and good friend to many. One of John’s lasting contributions to understanding the South was his book, Speak Now Against the Day: The Generation Before the Civil Rights Movement in the South, published in 1994. More than any other of his many works, this title, taken from William Faulkner, was the one John really cherished. For it capture John’s own motto of life and his enduring hope for the region he loved — to have everyone in the South ready with the courage, persistence, and devotion to speak truth to and about those who are powerful, hateful, or in the moment’s ruling majority on behalf of those human values that always placed John and his voice on the right side of Southern history and now places him among the angels. John Egerton was 78. His was a long and extraordinarily productive life, but today it seems far too short considering the contributions he still would have made to the rest of us and to his region and country. He was a really decent man, and the greatest undiscovered — in a mass-market sense — writer and reporter of his generation. Citrus roasted turkey, kale and collards salad, and stuffing-stuffed onions are just some of the savory treats you’ll find on Alabama cheesemaker Tasia Malakasis’s Thanksgiving table — and of course, she has a carrot cake with delectable goat cheese frosting, too. Read about Tasia’s “Fresh & Modern Thanksgiving Table Setting” at the Southern Living website. 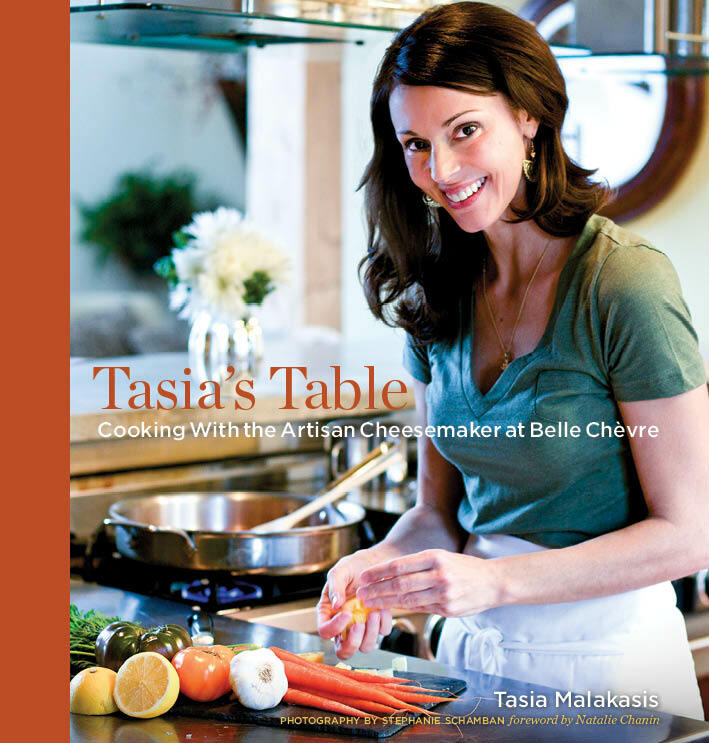 Tasia’s Table: Cooking with the Artisan Cheesemaker at Belle Chevre is available in hardcover and ebook from NewSouth Books, Amazon, or your favorite bookstore. In the aftermath of the Civil War, approximately 500 African Americans left the Chattahoochee Valley of north Georgia and Alabama to make new lives in the West African Republic of Liberia. Though some returned to the United States after the hardships they faced trying to settle a new land, many stayed and some even prospered. Historical records about the emigrants’ experiences are limited, but historian Matthew McDaniel has managed to piece together new insights into their experiences, using demographic data from the American Colonization Society (ACS), emigrant correspondence from the ACS journal, and also correspondence printed in local newspapers at that time. The result is a greater picture of these emigrants than has been offered before. Thomas also praises the book’s appendix, which lists the names of almost all the emigrants to Liberia. “This list could help clarify what happened to someone�s lost relatives,” Thomas notes, making Emigration to Liberia a key title both for historians and those interested in African American genealogy. 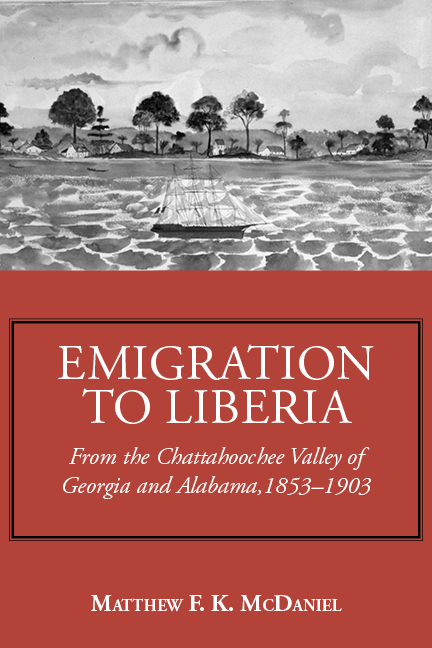 Read “Book looks at emigration to Liberia” at the Atlanta Journal-Constitution website. Emigration to Liberia by Matthew McDaniel is available in paperback and ebook from NewSouth Books, Amazon, or your favorite bookstore. You are currently browsing the NewSouth Books weblog archives for November, 2013.